Peter Marochello is Nelson’s Ride Parade Marshall for 2013! For over 15 years, Pete hosted his annual “Pete’s Pig Roast,” which raised over $125,000 for the “Make a Wish Foundation,” helping children fill some of their last wishes. The annual pig roasts began in his Bradford back yard bringing in hundreds of area bikers then moved to the American Legion Post and Winnekenni Castle in Haverhill. At his last Pig Roast, he was recognized by the American Motorcyclists Association and the Mayor of Haverhill for all his good works. 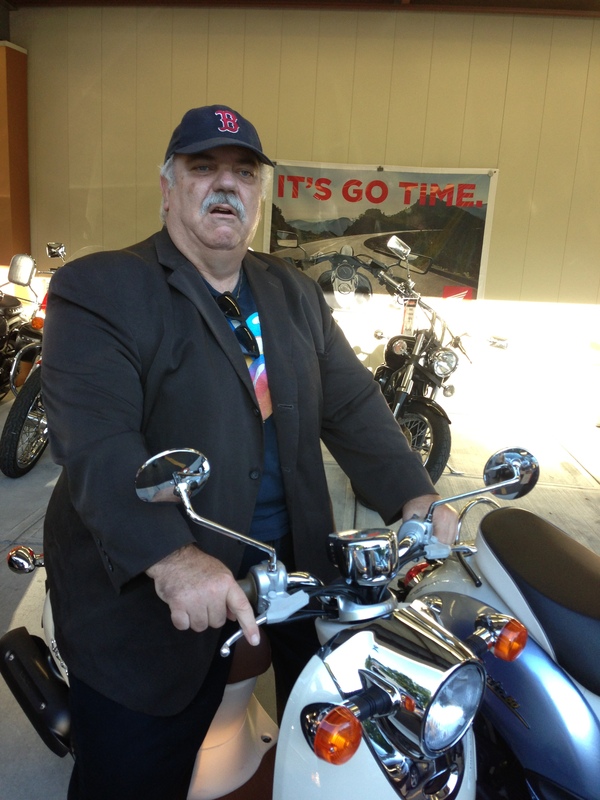 Pete was one of the original supporters of the Motorcyclist Survivor’s Fund, its concepts and missions of “Bikers Helping Bikers” and promoting motorcycle awareness. 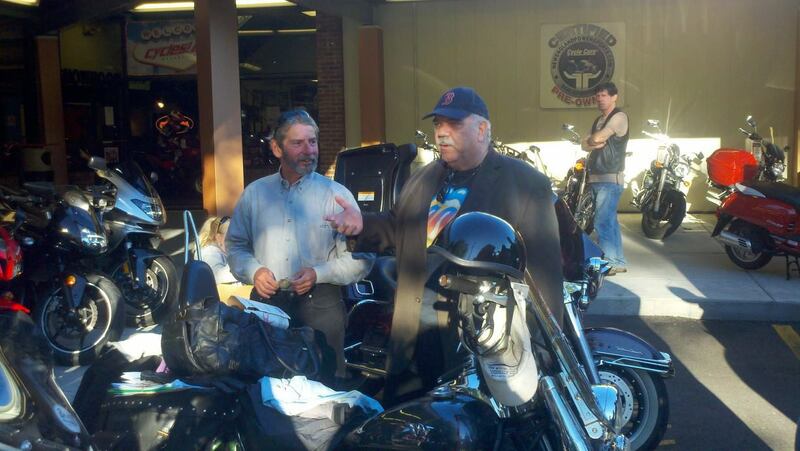 He volunteered his time and talents and personality supporting Nelson’s Ride each year. About five years ago Pete relocated to Florida to be with and care for his Mom. Both of them are back up north for a few weeks, and we have the honor of honoring his contributions to the motorcycle community, as our “Parade Marshall” at this year’s Nelson’s Ride Sunday August 18th from Cycles! 128. 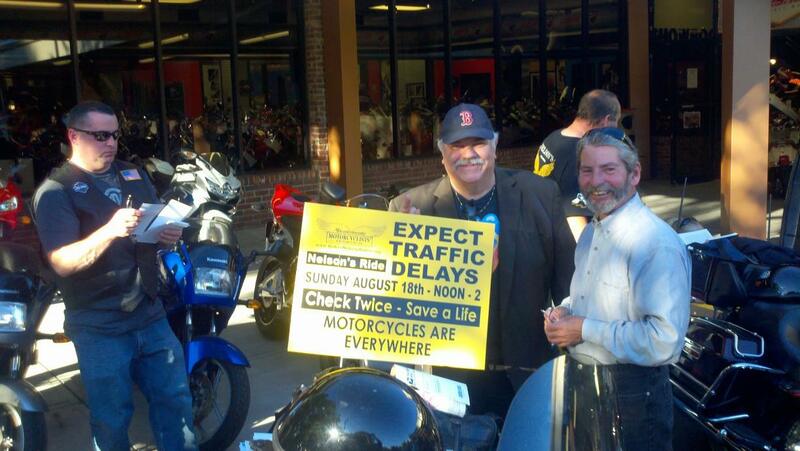 We welcome all Pete’s friends to come down to see him at the 14th annual “Nelson’s Ride” and help us ROAST PETE ! ! ! This entry was posted in Supporters and tagged nelson's ride, parade marshall, peter marochello, supporters on August 6, 2013 by mmsf.